365 Fashion and Lifestyle: Are you "HUNGRY FOR CHANGE"? 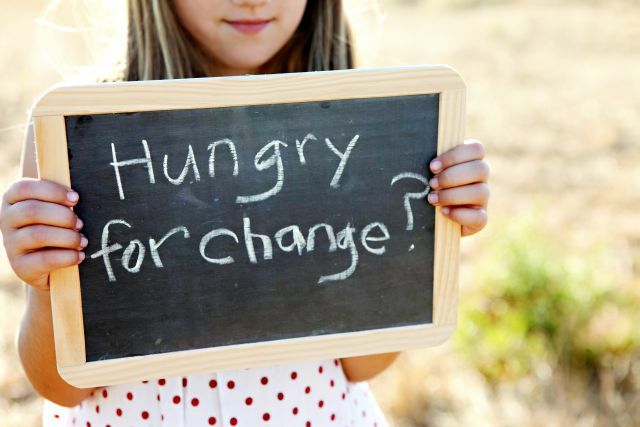 Are you "HUNGRY FOR CHANGE"? Even though this is a blog mostly about fashion and lifestyle, the places I love, hotels I've enjoyed and design, today I am going to talk to you about a different kind of lifestyle. The healthy kind one. And I have a question for you: are you HUNGRY FOR CHANGE? Because I am. In this fast pace that we all live in, did you noticed that we do not even pay attention to what we are eating anymore? We don't even have time to read the labels and even if we do, we don't know what most of the words written there mean. But what we do know is that we all want beautiful skin (since is the symbol of our health) and super fit bodies (since all the magazines promote them). So we start to follow one of those super diets that magically appeared in the last years to which our bodies don't even respond anymore, just to find ourselves even heavier the when we started. And eventually end up in a race against fat. But do we even ask ourselves about what's really going on inside our body? Why do our bodies stop responding to all those super diets? Could the foods we are eating actually be keeping us stuck in the diet trap? Today I found the answer to all those questions. Because I had the chance to watch this life changing movie called HUNGRY FOR CHANGE. An empowering movie about eating healthy and living the same way. So if you if you find yourself in a point where you want to live healthy and get rid off all the chemicals that invaded your body, you have to watch this movie. And you have only two days at your disposal to watch it for free right here.